Digital is far-reaching and ubiquitous – everything you know is about to change. We are living in the fourth age of humanity. First, we became human. Then we became civilised. The third age saw the creation of commerce. Now, we are becoming digital. Technology has changed the way we communicate, trade, and transact, with repercussions extending far beyond our personal spheres. 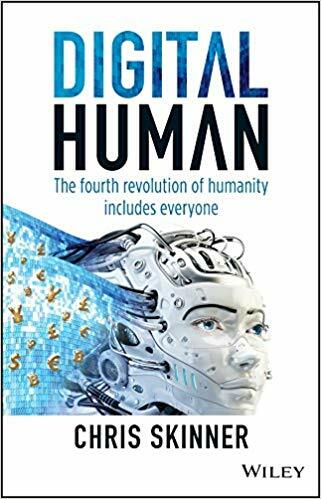 “Digital Human” is a visionary roadmap for the future, a timely guide on how to navigate the world of finance as we create the next generation of humanity. It explores the digital evolution’s impact and offers clear insights on thriving in this new era. Human and business relationships are evolving, and existing businesses must undergo substantial transformative changes to compete with the smaller, “lighter”, and more agile companies that are able to quickly maneuver to match shifting consumer demands. A lack of online presence has become unthinkable, as consumer preferences continue to trend heavily toward online business and transactions – is your company equipped to thrive in this new era? While there is no definitive guide to this new reality, this insightful resource provides the starting point and roadmap to digital success in the financial services arena, covering aspects such as: digital is not merely a “bolting on” of technology to produce results faster and cheaper, but a complete rethinking of common business practices and notions of efficiency and customer engagement rethinking business starts with the customer – new business models are constructed entirely around this single, guiding principle a digital business model is all about connectivity, with front-office apps tied in to both back-office analytics and marketplaces with many players and segments businesses must open their operations to this marketplace of players through APIs, necessitating a conversion of many core systems central business and technology systems must change to adapt to new market entrants and new technologies that range from AI for back-office analytics to distributed ledger technology (DLT) for global operations leaders must rethink their businesses to be fit for the future digital age, and this comprehensive resource shines a spotlight on the key elements to this transformation.